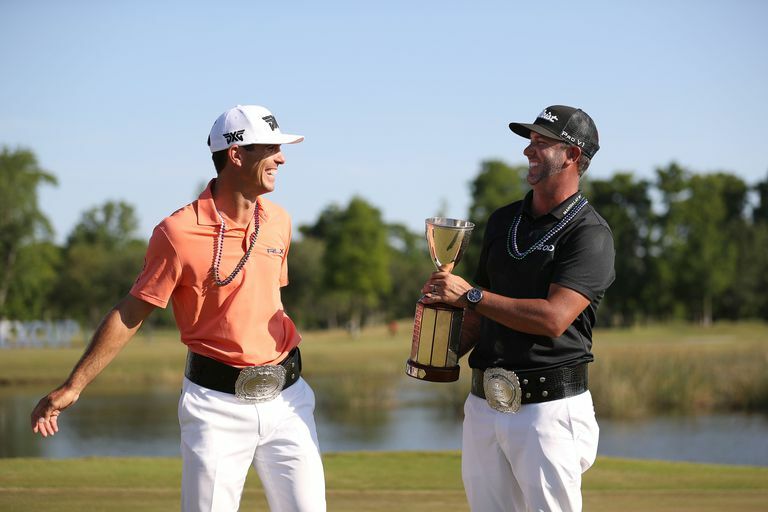 Billy Horschel and Scott Piercy, the team that won the 2018 Zurich Classic. Beginning in 2017, the Zurich Classic of New Orleans tournament brought something back to the PGA Tour for the first time in nearly 40 years: teams. The Zurich Classic now uses a 2-man team format, with foursomes and fourball as the competition formats, after having been a standard, individual stroke play event for all of its history dating to 1938. Prior to the Zurich Classic's switch in 2017, there hadn't been a team tournament format on the PGA Tour schedule since the 1981 Walt Disney World National Team Championship. Yes, these are the same doubles formats used in the Ryder Cup, Solheim Cup and other well-known team tournaments, except those are match play. The Zurich Classic teams play these formats at stroke play. Fourball stroke play is also called better ball. The partners play their own golf balls throughout. On each hole, they compare scores and the low score counts as the team score. If Rory McIlroy and Adam Scott are partners, just to throw two names out, and Rory makes 4 and Adam 5 on the first hole, the team score is 4. Foursomes is the same thing as alternate shot. Golfer A hits the driver, Golfer B plays the second stroke, A plays the third, B plays the fourth, and so on, for as long as it takes to get the ball into the hole. The partners alternate hitting tee shots. In 2017, the first year of the team format, alternate shot was used in the first and third rounds and fourball in the second and fourth rounds. In 2018, that order was reversed. The top 80 (based on world ranking points) eligible golfers who enter are able to select their own teammates. 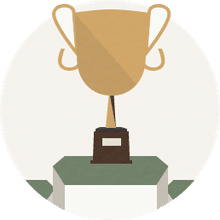 Members of the winning team will get into the Tournament of Champions and the PGA Championship as a result of the victory, but do not earn Masters invitations. A regular PGA Tour tournament awards 500 FedEx Cup points to the winner; the team-format Zurich Classic gives 400 points to each of the golfers on the winning team. Both members of the winning team receive two-year exemptions to play on the PGA Tour, same as with a regular tour event. The field is cut to 35 teams after the second round. We said at the top that the 2017 Zurich Classic was the first team event on the PGA Tour in nearly 40 years. The last was the 1981 Walt Disney World National Team Championship. The Disney, as it was known, debuted as an individual stroke play tournament in 1971. Jack Nicklaus won it each of its first three years. In 1974, it switched to the 2-man team format and remained so through the 1981 event. In 1982, it went back to individual stroke play, and stayed with that format until it was last played in 2012. In the years since 1981, there have been some team tournaments in the so-called "silly season," all of them unofficial money events. But there were no official PGA Tour events with a team format during that time. Team tournaments were once more common on tour, however. The Miami International Four Ball was, in the 1920s and 1930s, one of the bigger events on the tour's winter circuit. Its winning twosomes included Gene Sarazen/Johnny Farrell, Leo Diegel/Walter Hagen, Ralph Guldahl/Sam Snead, Ben Hogan/Gene Sarazen and Jimmy Demaret/Ben Hogan. And, in Byron Nelson's 1945 season, the Miami tournament was one of his 11 consecutive wins and 18 total that year. He partnered Jug McSpaden.